With spring around the corner, many people are beginning to think of planting their gardens. Between lifting heavy bags and spending prolonged periods of time in awkward positions, gardening actually puts tremendous stress on the human body. So Brill Physical Therapy is here to offer some pointers! When people think of physically demanding jobs, they most commonly think of industries like construction, plumbing, or electrical. However, professional musicians must endure tremendous amounts of physical strength in order to hone their craft. 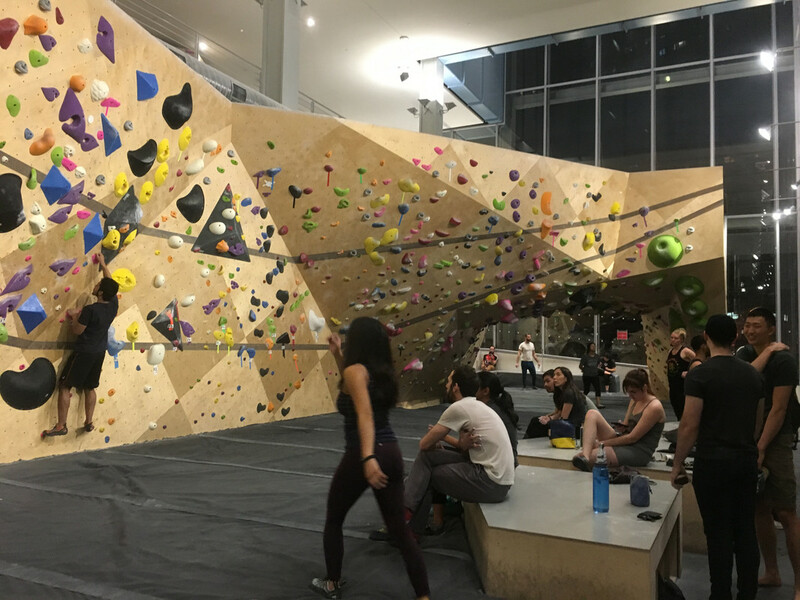 Indoor rock climbing- perfect way to get a great body and brain workout, all while staying warm inside! With the increase of climbing gyms, we’ve seen an increase in climbers and wanted to cover ways to prevent injury! As new parents, we quickly figure out that our babies don’t come equipped with owner manuals. So when we hear about the importance of tummy time for newborns and young infants, it can be overwhelming to understand what this actually entails. Diastasis Recti: how do you know if you have it and what can you do about it? Diastasis recti or abdominal separation occurs commonly amongst two-thirds of pregnant women and can also occur in men. Patellofemoral pain syndrome or “runner’s knee” translates to kneecap pain. It’s the most common overuse injury among runners, but it’s important to highlight that it can occur in athletes from nearly every sport and even in non-athletes who stress the knee in their daily activities as well. Congenital Muscular Torticollis (CMT) is a term used for a situation in which an infant has a tightening in their neck muscles, primarily on one side. This will cause them to often have their head rotated and tilted to one side, and is most easily seen when your baby is lying in their crib or in their stroller. What Does A Hip Replacement Cost You? As of July 2013, according to the Centers for Disease Control and Prevention, a total of 332,000 hip replacements are performed each year. Therefore, Brill Physical Therapy thought this NY Times article comparing costs of hip surgery may be of interest to many of you. Physical therapy is becoming more and more recognized nowadays. Physical therapy can mobilize the knee for better alignment which often allows the meniscus to heal. Balance is very important in everything you do. This self-test will help reveal the power and strength of the muscles in your lower extremities. Here is a quick test to see how good your balance is. 1) Place a piece of paper on the floor as your mark. Here are some of the causes of tension headaches. Why am I having tingling and numbness in my hands during pregnancy? These sensations are most likely caused by carpal tunnel syndrome. Although you probably associate this condition with people whose jobs require repetitive hand movements (such as data processors, computer programmers, and assembly-line workers), it’s also more prevalent in pregnant women. New Moms get well at Brill Physical Therapy! Did you know that physical therapy can help out post-partum mothers? Pelvic rehabilitation is a type of physical therapy that can be very helpful for postpartum moms. Pregnancy and childbirth can damage the pelvic floor muscles and connective tissue, causing all kinds of inconvenient and uncomfortable symptoms for women after they give birth. Curious about shoulder pain and impingement? Why am I having shoulder pain when I reach above my head?